A little birdie goes a long way. Her name is Emily, she’s 12. God spoke to her heart on our mission trip this summer and she responded by saying “yes”. 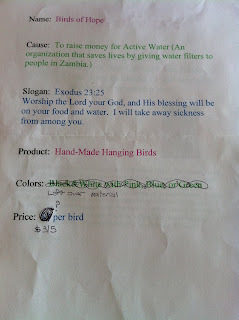 After we returned, Emily and her friend Allyson presented a business plan to me. 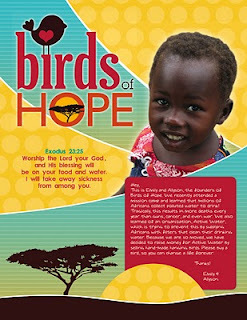 They called it “Birds of Hope, and it involved selling hand sewn birds to raise money for clean water in Africa. 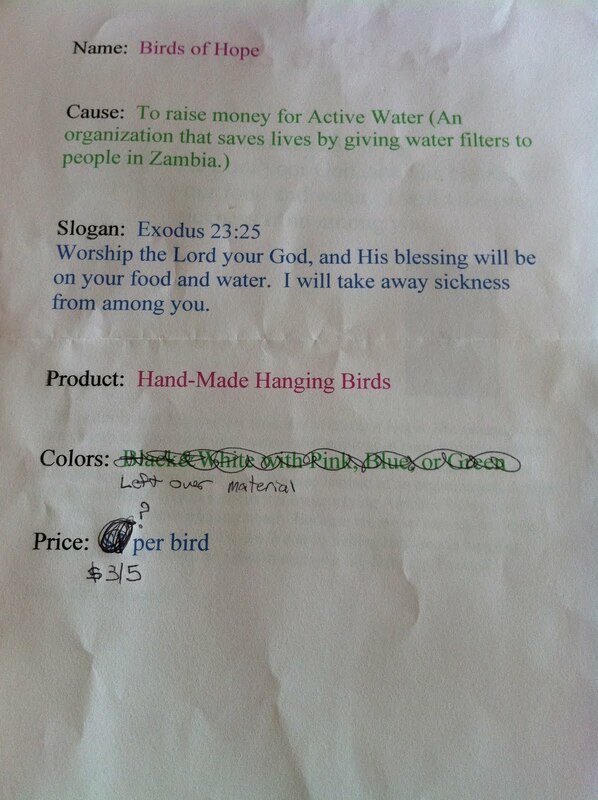 Their goal was to sell 100 birds to raise 500 bucks. I helped them documenting their work with pictures and videos, started a facebook page, asked a design company if they would work up a flyer and the rest was all Em and Ally. 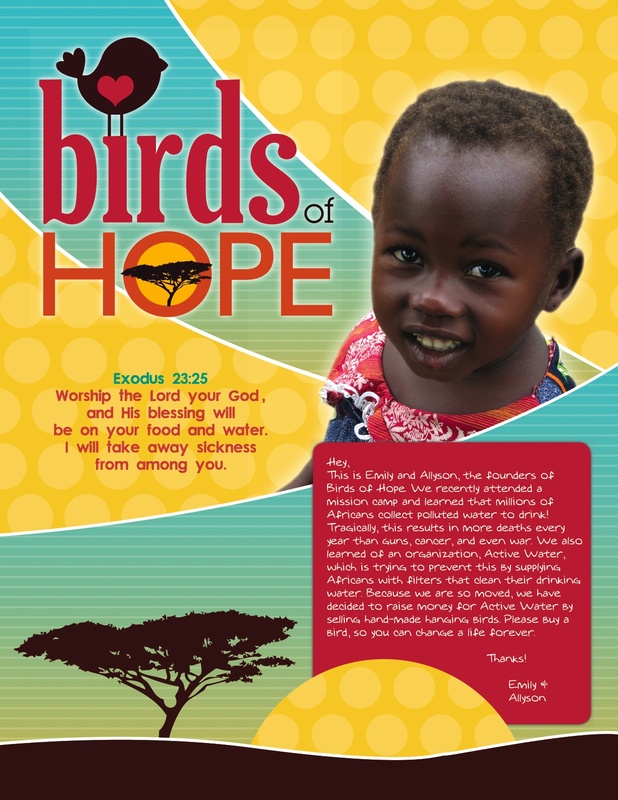 It’s been about a month since they started Birds of Hope and as of last Sunday they’ve met their goal and taking orders. Partnerships for t-shirts, decals, and community outreach have surfaced and that’s just the beginning. Our pastoral staff talked about them today and we all learned a big lesson. If we all do that little thing that we’re good at and offer it up…the world would be a better place, more hopeful, and more cared for. God calls us to “fan into flame” the gift that we’ve been given. I look at these young leaders and say, thanks for setting the example for believers girls. You’ve got it right. Really right.